There are potentially countless combinations and possibilities with all the vacuum pads we make but these are the main standard pads. For heavy sheet and plate loads found in the primary metals industry and service centers. Rugged design for heavy production use. Deep profile sealing edges for heavy capacity and wavy plate. Tough Sealing rings bolt on between two metal plates. Rugged welded construction of pads for long term durability. Top metal ring protects seals. Slip on or Snap Round Seals that are Hand Replaceable for fast replacement with no tools. Pads are Fully Adjustable and Slide on beams. They are excellent for metal, glass, wood, composites, curved panels, stone and other materials. They feature a good versatile design for most smooth applications. Rectangular vacuum cups designed. 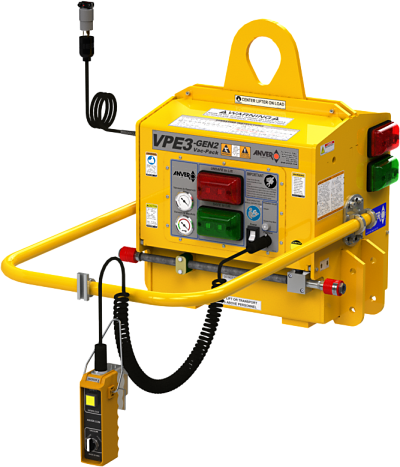 for handling flat, rigid materials. 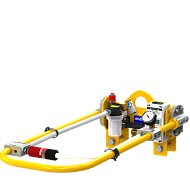 Dual Pad Attachment offers multi-configuration suspension, easily changes pattern by means of a clevis pin into one or multiple two pad configurations. 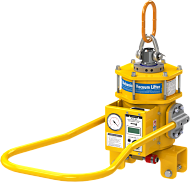 An economical alternative to multiple pad vacuum lifters. Heavy Duty Bolt-On rectangular pad attachments. Rugged design and large capacity for mill duty use. Long big sealing edges for heavy capacity and wavy plate. Foam seals for rough surfaced porous and semi-porous loads. Stone with a saw cut or blasted or flamed surface, concrete and rough wood. Machined lip to ensure the seal stays in position. Long lasting foam seals handle both smooth and rough stone. Replacing worn seals can be done in under a minute by hand without tools. Heavy Duty rectangular pad attachments. 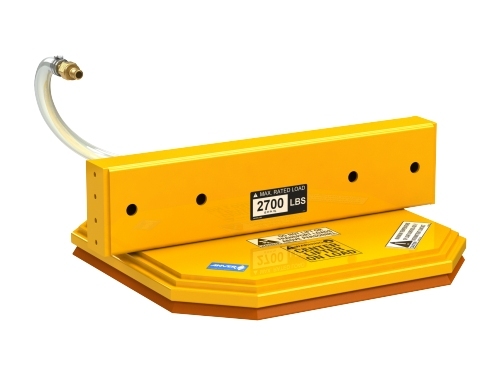 Ideal for removing ingots from a kiln or handling other dense non-porous loads. 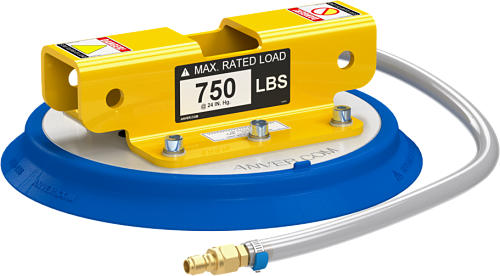 Specifically designed for convex or concave surfaces. 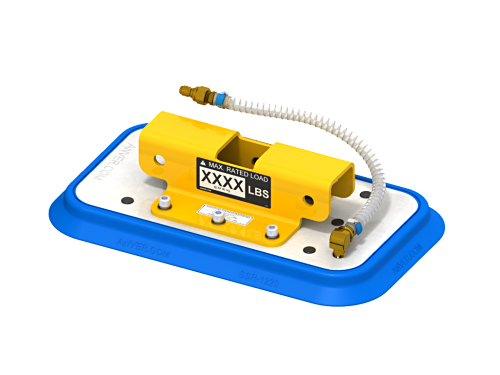 Silicone seals for handling high temperature loads, intermittently up to 500°F / 260°C.